We are preparing on this web site a new function for searching similar typhoons, but here we used an offline program to search for similar typhoons to Typhoon 200310 (with the best track dataset through 0300UTC August 8, 2003). The result shows that the most similar typhoon is Second Muroto Typhoon (196118), which killed 194 people with the most severe disasters around Kinki area. 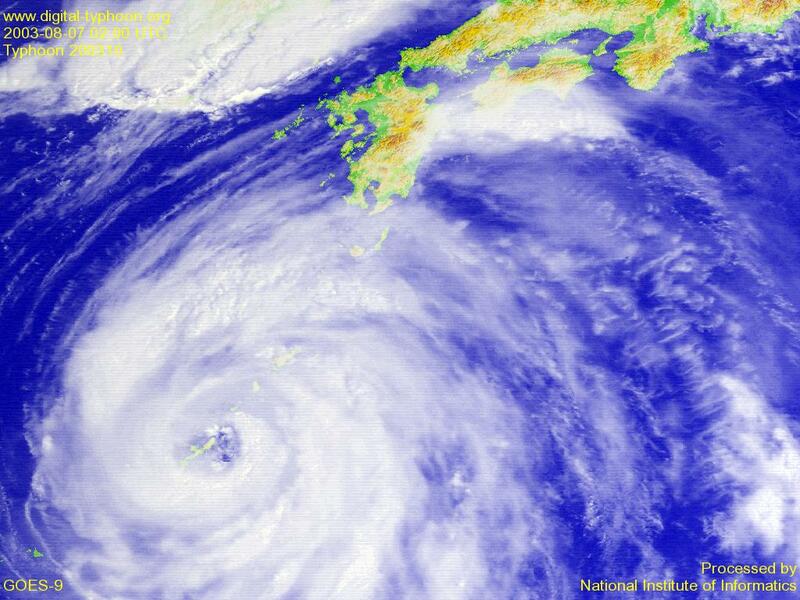 In addition, Typhoon 197920, which is the strongest typhoon ever recorded, with 111 casualties all over Japan, is one of the most similar typhoons, and we can name other typhoons with significant disasters such as Typhoon 195821 and Typhoon 197916. 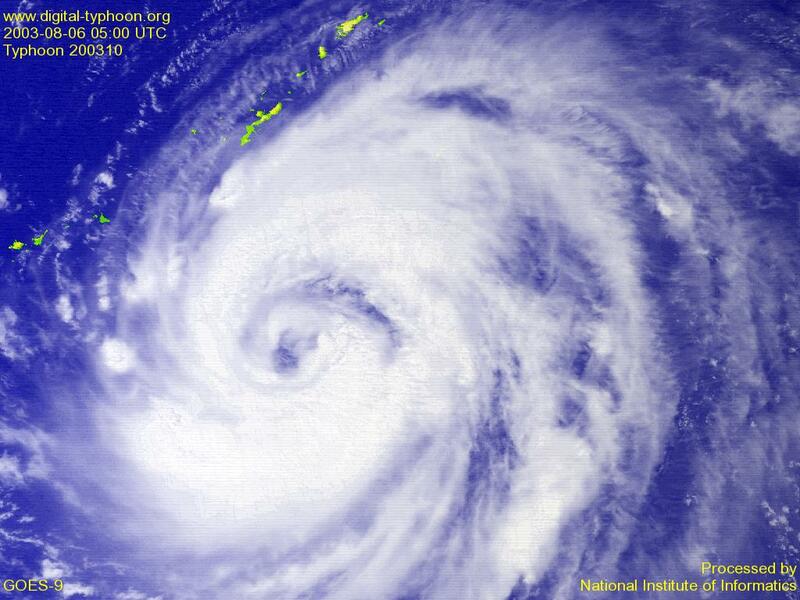 These results indicate that Typhoon 200310 is potentially dangerous from the viewpoint of the typhoon track. Please check the latest weather information. The weather forecast says that precipitation over the Pacific Coast of Shikoku in the next 24 hours is expected to reach 800 mm at maximum. This figure implies that the amount of precipitation is nearly as equal as the historical maximum of 806 mm, ever recorded at official meteorological observation stations in Japan. Typhoon ETAU has passed Okinawa this morning, but it seems that the speed is relatively slow. The central pressure is still decreasing steadily, and the size is large. So please be well informed on advisories and warnings by the meteorological agency. 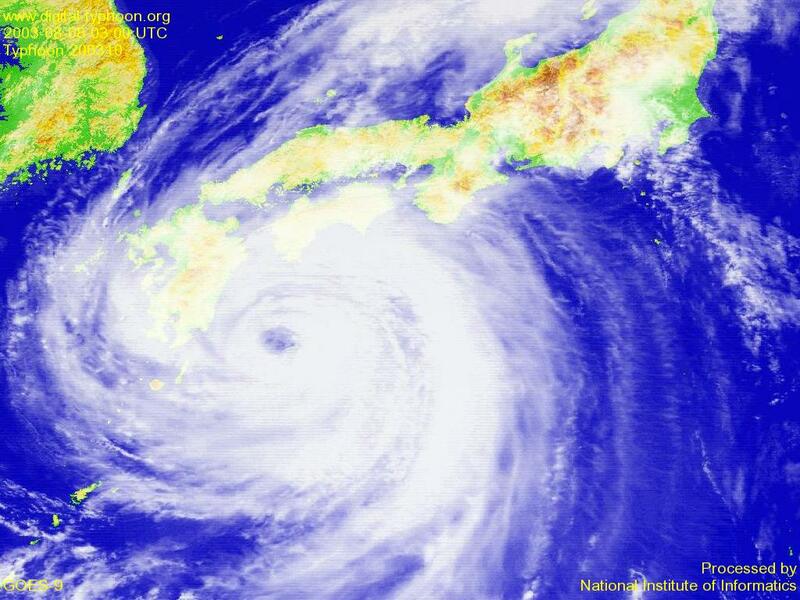 Typhoon ETAU is now approaching to Okinawa area. This typhoon has developed to a large typhoon, so please be well informed on advisories and warnings by the meteorological agency. 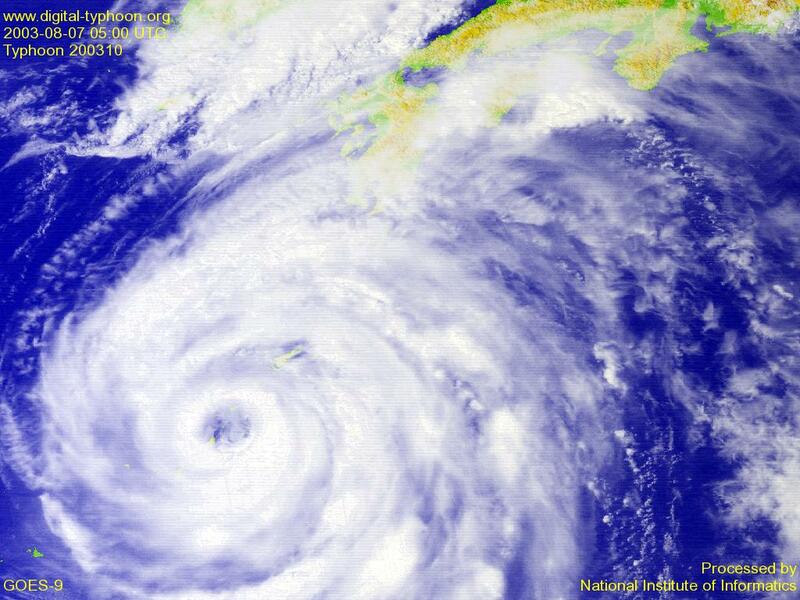 Typhoon ETAU was born. This is the formation of typhoons two days in a row, following the formation of the Typhoon MORAKOT yesterday. 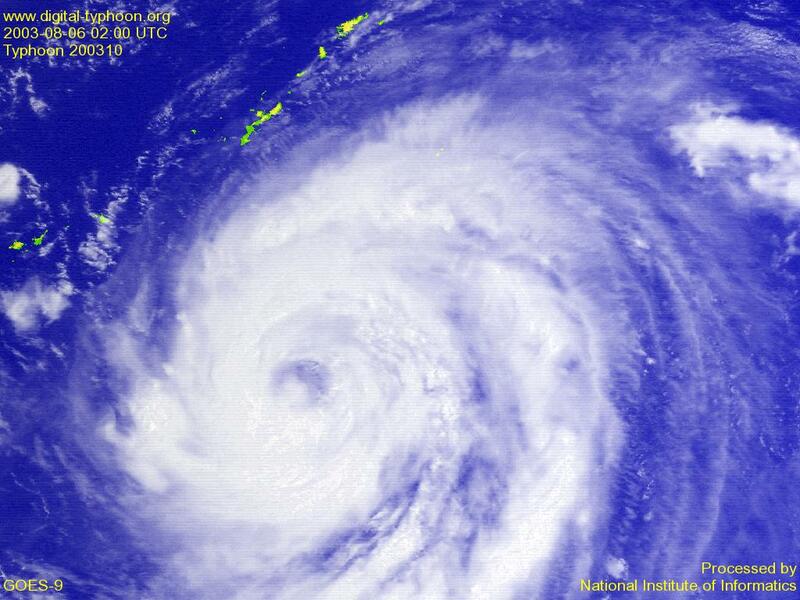 Two typhoon formations in two days are the same as in the case of Typhoon IMBUDO and Typhoon KONI. It seems that, from the typhoon forecast, this typhoon will become stronger than Typhoon MORAKOT. Summary of meteorological records of Typhoon 200310 by Japan Meteorological Agency. Available in Japanese. Satellite images of Typhoon ETAU by NASA.